This tutorial is intended for when you want to share sessions with people outside of the context of a module delivered by Blackboard. If you want to record sessions for your modules, you’ll need to provision the Blackboard course in Panopto instead. Make sure that Who has access says Specific People. If you’re adding a non Aston University email address, that user will receive a link to the session, and they will be able to view it even if the session itself isn’t public. 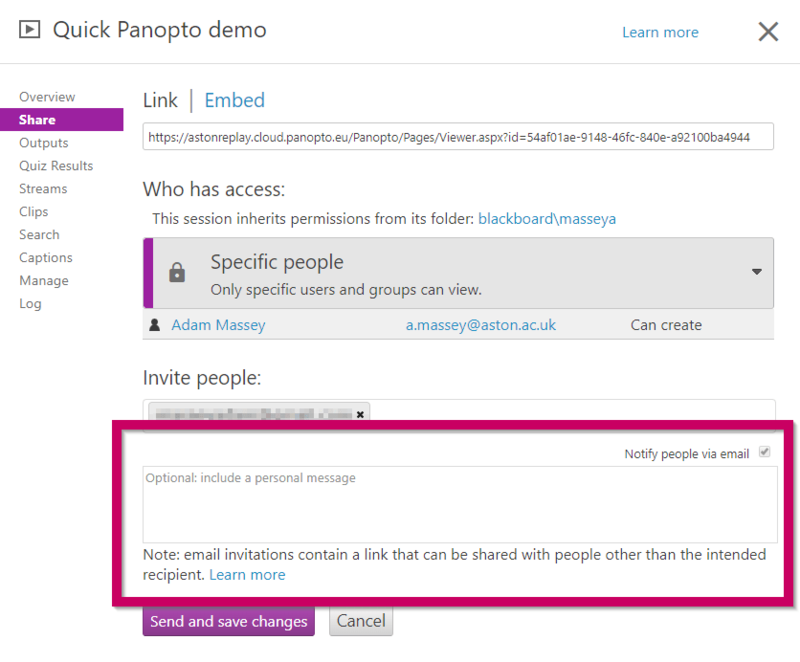 Click Send and save changes or, if Panopto isn’t sending an email invitation, click Save changes. External users will follow the link in the email. 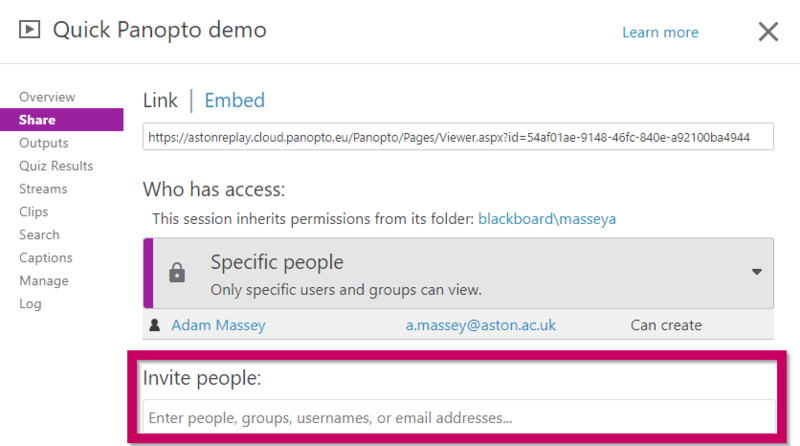 If Panopto is sending an email invitation, Aston users can follow the link, and they will also see the session listed on replay.aston.ac.uk when they’re logged in. The recipient can forward this link on to anyone else, and they will also be able to see the recording. You will be able to revoke access to the user’s email address, see below.